Add a contemporary style to your home by introducing this gorgeous Set Of Horse Head Bookends. These bookends have a magnificent design that take a very detailed horse head and give it a stylish and practical use. 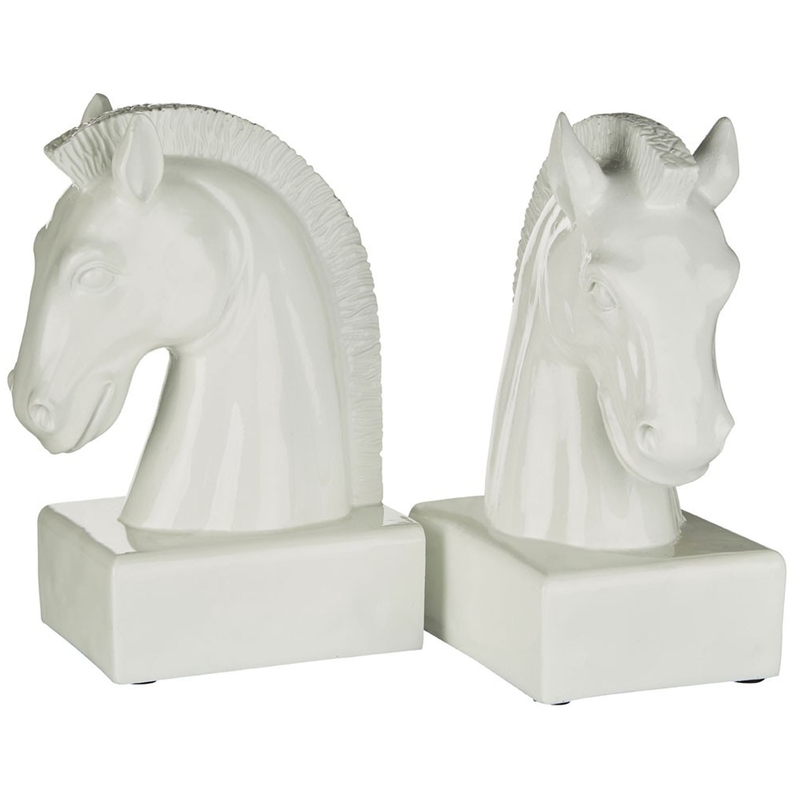 These horse head bookends are created from a strong polyresin and are given a very eye-catching and charming white colour.